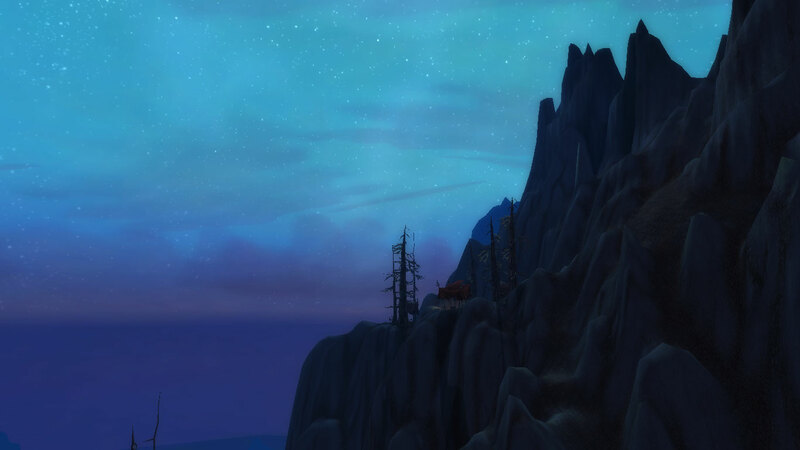 Seems in the past few weeks, among the frenzied hype on 4.3, that Blizzard have been reaching out to us, the players, for views and opinions. More specifically, our thoughts and feelings on classes. With questions such as, "What makes playing your class more/less fun" and, "How do you feel about your rotation". The second one also goes on to explain the meaning of a 'rotation', everyone's opinion counts right. To see exactly what else Blizzard is trying to find out, here is an example from Blizzard's 'Hunter Class Feedback' post. Getting right to the point. I have a few concerns about some of the common, and not so common, responses that I've been seeing. Though, this isn't the first time that I held similar thoughts in mind. This feeling has been ever present since I became more accustomed with the game. My concern is - Homogenisation. In simpler English, this means to "make the same as" and/or "make uniform". In relation to this post, I am speaking of the the Homogenisation of classes. When I first arrived at the character creation screen, of the game we have grown to love, or hate, a feeling of choice was given straight off the bat. Yes, I was one to sit there for a good time and really consider my options. Reading through each of the class descriptions, taking in the initial look of your 'character to be' and generally asking, "What can I see myself playing". It was this, the whole feeling of choice, after passing the character creation screen, which drew me so easily to the game. Being able to pick and choose the way you would like to play. How would you like to kill your enemies? Decapitate them with the brutality of a Rogue. Overpower them with the holy might of a Paladin. Pin them back from afar, accompanied by a savage beast of your liking, as the eagle eyed Hunter. How would you like to play as a team? Be the one which shields your comrades with the power of light, or the one who wants to excel at keeping a constant 'tick' going, while bringing the benefits that nature can provide. What about protecting your group with the hardened force of the sword and board, or maybe you'd prefer to exploit the death and decaying powers behind your two handed axe. Whether it be in PVE or PVP, each class brought something original and unique to the table. Yes, the triangle of a tank, healer and DPS still existed, but the way in which they took on the role would be very different. Not to mention the additional benefits they brought along with them, in the forms of buffs/debuffs for example. This is explained more so in Corath's latest post detailing each classes signiture abilities. Now, you may say, I have been speaking, especially for the last section above, in the past tense. I am not saying that the game has come away from this concept which attracted myself, and so many more, to begin with. However, over time, I have noticed changes which depict an impression that says so. The intentions of such changes are sometimes blatantly obvious, and sometimes not so. However, they may occur for a number of reasons. Whether for PVP balance of PVE. But sometimes, they simply copy, while adjusting slightly, features/skills from another class and placing them into another (e.g. Mortal Strike and Widow Venom). I'm not going to say this hasn't worked by any stretch. But at the same time, I don't like the idea of making a lot of skills 'standard' across multiple classes, each with slight variances. Though what worries me most about all this right now, is the responses from players regarding their classes. Especially when it's in response to a question from Blizzard (Not to say they base changes on each and every players request, if ever). "But [Insert Class] has this [Insert Ability] and we have nothing to match that"
"It's unfair that [Insert Class] can do this and we can't"
"Every other DPS class has this kind of [ability/feature] and we don't"
I am not for one minute saying that any of these points, in there rightful context, are false or not indeed a real problem. However, from a fair few responses, I have picked up a strong vibe. One which calls out to "Homogenize" the classes. A vibe which really can't sit well with me. Blizzard has made such a brilliant design in which all the classes are, and have the potential to be, different in their own way, while being able to integrate with each other so well at the same time. Why would you want to have it any other way? Could you imagine every class, in their respectful roles, having the exact same skills, but with altered animations and names etc. What would be the point of different classes to specialise in? It would ruin everything the game stood for. At least in my opinion. So, if it isn't obvious by now, I am strongly against the method of homogenizing of classes. The truth is, at least in my view, that a perfect balance between classes is impossible. Mean, if it was, it would be seriously boring. Not to say that balance should be thrown out of the window, as it is a strong factor which holds this game together. Of course that's not what I am saying at all. I feel that having a slight advantage/disadvantage in certain situations is a perfectly acceptable sacrifice. It allows you to feel that uncertainty in PVP, and keeps you fighting for those top spots, and ways to achieve them, in raids. It creates an ever changing environment. Allows room for classes to be diverse and different. Keeps the edge on the game. Most of all, it blesses us with choice. We come to value our classes for what they are, and what they can offer a team. It makes that moment you click 'create character' all the more important. Imagine two football teams having the exact same players? Basketball teams having height restrictions?! You just find ways to work around them and adapt. Though there are times in which it is appropriate for Blizzard to intervene, yes. Just because your class can't act exactly the same way it's counter parts can, doesn't mean that it is drawn-back. That's just a part of what your class is. What makes your class unique. You have some things that they haven't! For example, Hunters have a minimum range, which many feel is inappropriate (though I won't start a debate here). Of which, I have come to accept and put down to a way that my class plays. A Mage or Warlock doesn't get to wear mail armor do they? FINALLY! Completed the Molten Front dailies chain! Gotta be honest - when I look at class balance, my issue is NOT with what each class has/has not. It's with the consequences of our choices, some of which are not visible til end-game. In light of the Warcraft way, it seems to me a lot like a game of Paper-Rock-Scissors, where you're entering a tournament but only allowed to pick one of the three to play with. Paper, Paper, Paper, Paper, Paper... Up against Scissors? Too bad. Sure, you could re-roll as something else... But isn't that like assuming a new identity and re-entering the tournament? All your history is still tied to that first entry, and you're starting fresh. Final Fantasy XI, regardless of its many flaws, had an answer to this. In their class system, any character could play any class. 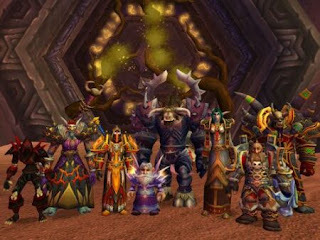 Each one had to be leveled from level 1, and each had its own class-specific armor, so in that regard it was no different from leveling multiple characters. Where it DID differ was that if your group was capped out on your class or role, you could always switch to a new role. Warcraft took a different route, where you not only choose, but commit, and if you later choose to try a different route, all your previous work is essentially discarded. Guild has too many hunters, but not enough priests? Well, at that point you can choose to progress your hunter or choose to raid. Except, if the problem is wide enough, you CAN'T choose to progress your hunter. At that point, the real decision is whether to choose to raid or choose to sit on your hands for an indeterminate period of time. So, unfortunately, the choice can lead to a dead end. I'm not saying World of Warcraft needs to allow Troll Paladins or Gnome Druids (shudder). But changing from a soulbound/character-specific mentality to an account-bound one, where items, currencies, reputation, mounts, achievements, etc. are tied to the account instead of the character would then free up players who feel like a reroll is a death sentence for their current character - what is earned and obtained by the person is available to the person, and the character played is the choice. a) entering a Rock/Paper/Scissor game. Now, I've heard the R/P/C concept thrown around a lot in the Warcraft world. More so in vanilla (World of Roguecraft?). I feel that game has moved away from that triangle over the expansions, though I haven't had a hand at PVP this time around. But I totally agree that, in a competitive manner at least, the concept is no good. Onto your larger point, about different characters and so on. This is a whole other topic within itself, which I may just follow up now (as I have had similar thoughts). However, in a short explanation from my experience , Blizzard have reasoning behind this. I feel that they want each and every character to be as unique as can be and have a "whole game ahead of them" just like your first character. I say unique, more so individual. Mean, if you could just switch-up at end game, would many people still be playing today? Suppose that's where blizzard 'get-ya' - "looks like you'll have to start out all over and invest all that time once again into the game". I may just venture into that last section in a, soon to come, post. Thank you for your input. Stop by again some time! I'm right with you. The constant change to paladins to make them more and more like warriors and DKs has made me lose interest in my tank. I saw the same thing happen with my druid healer - a very unique style of healing through hots, changed and required to, like every other healer, use some hots but do mostly direct heals. I haven't felt it as much on any of my dps, as I've only recently played them seriously, but I can strongly vouch as a tank and a healer - two roles clearly not involved in any P/R/S kind of game - that homogenization has hurt both the classes and my interest. I'd be all for differentiation so long as I can respec all the way down to what class a given character is. The whole "start the grind over, thanks for your sub money, sucker" bit irks me. I like differences and even imbalances between classes. I don't like my time wasted. Glad to see somebody has the same feelings, or at least similar. Especially with the tanking example! Very good point Tesh! I understand what you are saying, and also agree that you want to build up a character for it's class. Plus, I don't mind imbalances (usually just differences taken the wrong way), if it keeps the game varied. I agree with you, Feign. I was truely sad the day when paladins got aoe heal, the druid lost their shapeshifting skill, all healers got dispell, shadowpriests lost theirs and the list goes on and on. I want to be unique when I play. I even accept it can not be balanced. But then again - I have come to terms with the fact that if it is PVP I want - World of Warcraft isnt the one that offers it. Seems your not the only one expressing similar thoughts on this topic. Unique is the key word! Now, I've heard this before. That being WoW isn't a PVP game, and/or it can't be PVE + PVP at the same time. So I think alongside a few other points I will expand in my next post.